Grow the Forest of Dreams! 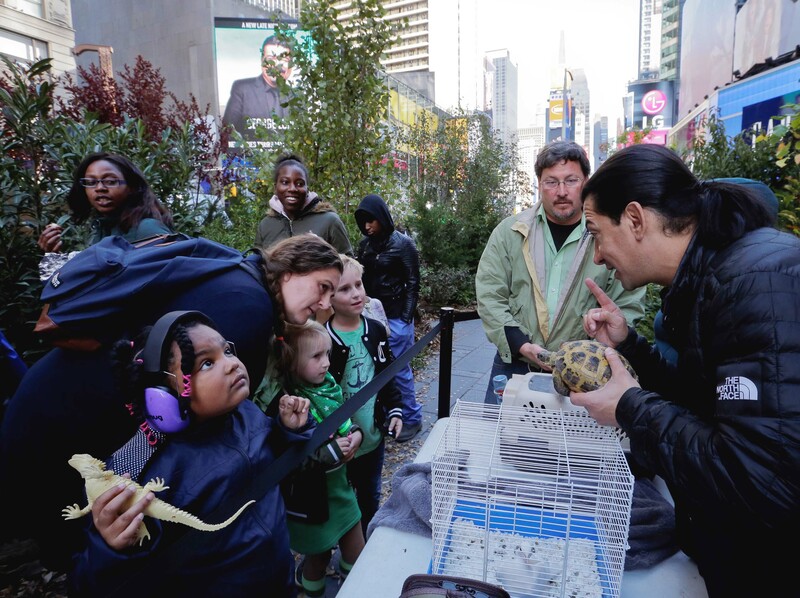 ATLANTA (October 19, 2017) – In just five hours overnight on October 18, Times Square was transformed from a concrete jungle into a woodland paradise by LightStream, the national online lending division of SunTrust Bank. 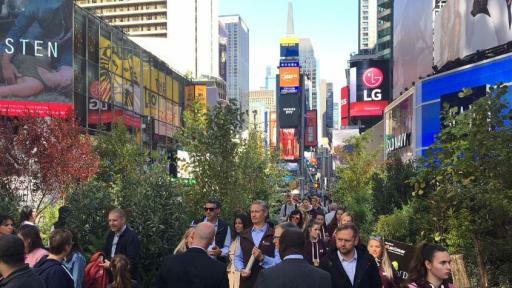 Nearly 200 live trees, shrubs and plants -- oak, maple, and purple plum trees, as well as rhododendron, mountain laurels and more – provided a magical setting for thousands of visitors to enjoy and have their photo taken and shared on a Times Square billboard. 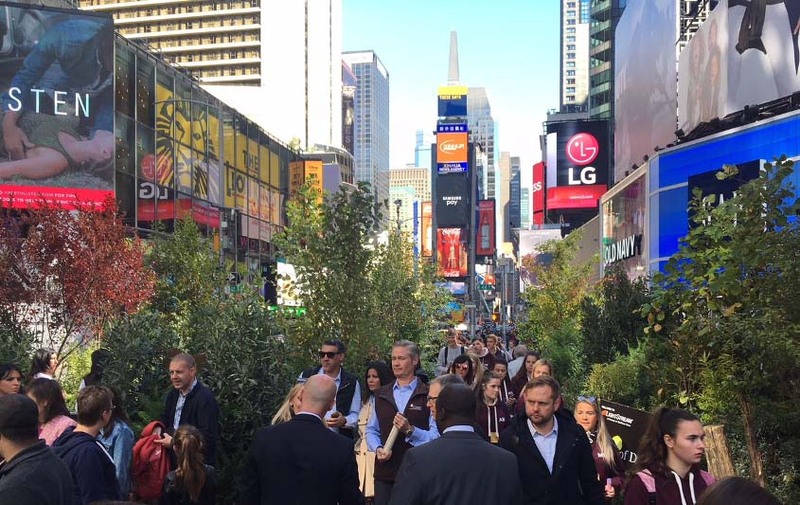 The Forest of Dreams event kicked off LightStream’s effort to plant 10,000 trees in October, one for each person who participated in Times Square or who signs up at LightStreamForests.com before November 1. The Forest of Dreams will benefit wilderness areas and green spaces across the U.S., including areas decimated by wildfires and hurricanes in Houston, Miami and California. 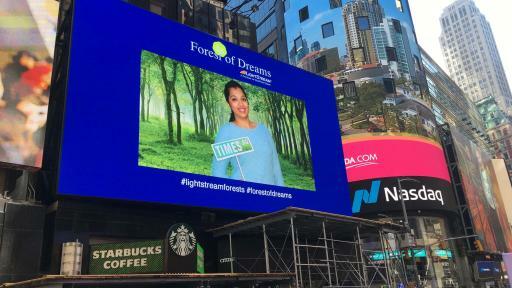 LightStream plants a tree for every loan funded, and created the Forest of Dreams to symbolize the 1,000 acres of trees it has already planted, as well as the hundreds of thousands of dreams that these loans have helped make possible. 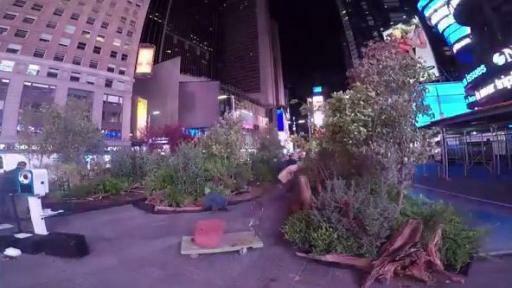 Throughout October, Americans are invited to participate in the online Forest of Dreams at LightStreamForests.com. 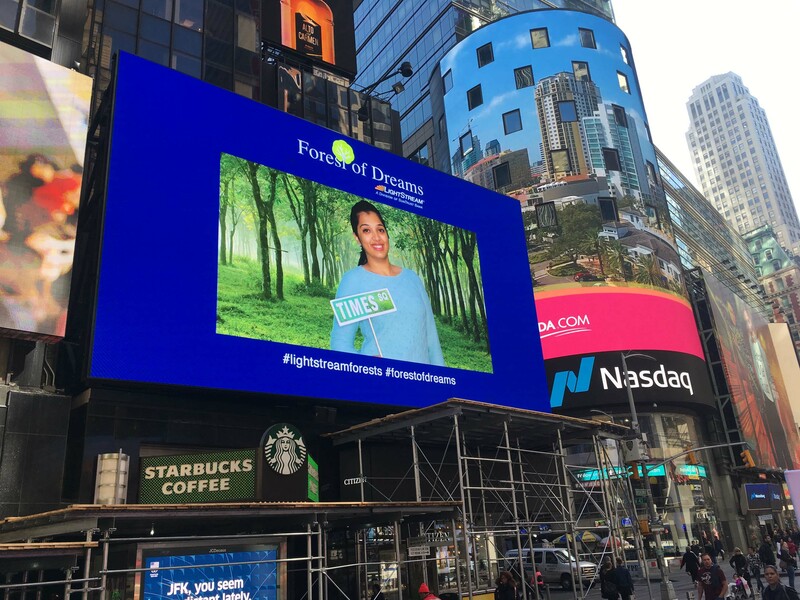 Anyone who opts to submit a photo will receive an email with their picture customized as if they were at the Forest of Dreams event and featured on a Times Square billboard. 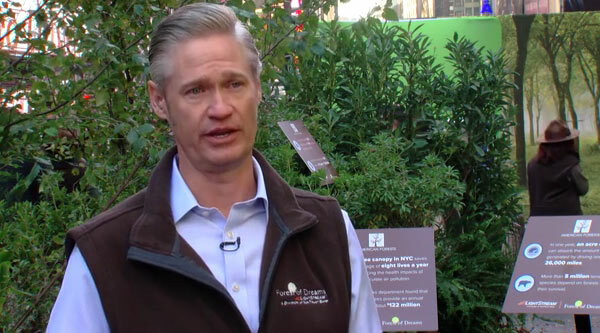 LightStream plants trees in partnership with American Forests, the nation’s oldest conservation organization. LightStream contributions help support American ReLeaf, which funds tree planting projects across the country. Beginning with the Forest of Dreams, LightStream is also supporting American Forests’ Community ReLeaf program, which brings critically needed trees to urban settings. The company provides financial confidence through its loans up to $100,000 for practically any purpose – automobiles, home improvement, adoptions, and even medical procedures. The application process takes only minutes to complete, and funds can be deposited in a borrower’s account as soon as the same day. LightStream is so confident in its competitive rates and the simplicity of its borrowing process that the company offers a Rate Beat program and a $100 Loan Experience Guarantee. About LightStream, a division of SunTrust Bank LightStream is a national online lending division of SunTrust Bank, providing loans for practically any purpose. LightStream’s proprietary technology provides consumers with a virtually paperless loan application, underwriting, funding and servicing experience. Click here for important disclosures, including information on same day funding as well as LightStream’s Rate Beat Program and $100 Loan Experience Guarantee. SunTrust Banks, Inc. is a purpose-driven company dedicated to Lighting the Way to Financial Well-Being for the people, businesses, and communities it serves. Headquartered in Atlanta, SunTrust operates an extensive branch and ATM network throughout the high-growth Southeast and Mid-Atlantic states, along with 24-hour digital access. Certain business lines serve consumer, commercial, corporate, and institutional clients nationally. As of June 30, 2017, SunTrust had total assets of $207 billion and total deposits of $160 billion. The Company provides deposit, credit, trust, investment, mortgage, asset management, securities brokerage, and capital market services. SunTrust leads onUp, a national movement inspiring Americans to build financial confidence. Join the movement at https://onupmovement.suntrust.com. American Forests inspires and advances the conservation of forests, which are essential to life. 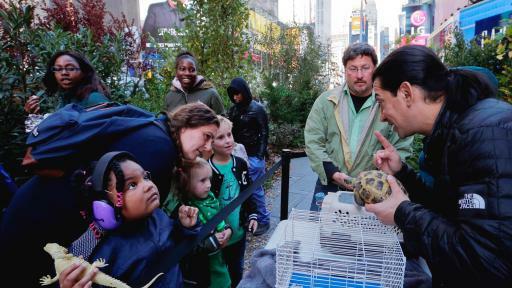 We do this by protecting and restoring threatened wildland forest ecosystems, promoting and expanding urban forests, and increasing understanding of the importance of forests. Founded in 1875, American Forests is the oldest national nonprofit conservation organization in the country and has served as a catalyst for many key milestones in the conservation movement, including the founding of the U.S. Forest Service, the national forest and national park systems and thousands of forest ecosystem restoration projects and public education efforts. Since 1990, American Forests has planted more than 50 million trees in forests throughout the U.S. and in nearly 50 countries, resulting in cleaner air and drinking water, restored habitat for wildlife and fish, and the removal of millions of tons of carbon dioxide from the atmosphere. Learn more at www.americanforests.org. SunTrust Bank is an Equal Housing Lender. © 2017 SunTrust Banks, Inc. All rights reserved. SunTrust and LightStream are federally registered service marks of SunTrust Banks, Inc. All other trademarks are the property of their respective owners. Lending services provided by SunTrust Bank, member FDIC.